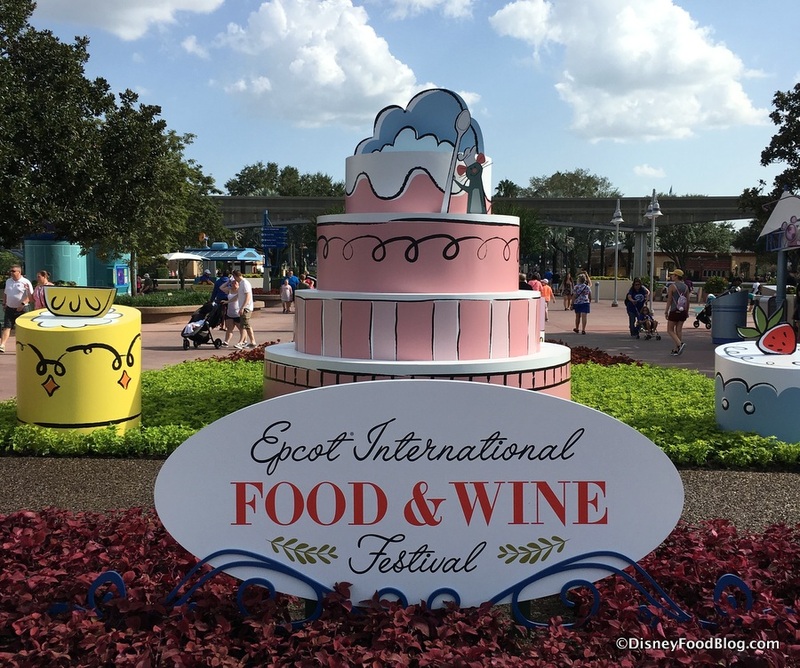 It’s time to think about planning for Epcot’s International Food and Wine Festival, and if you’re like a lot of Walt Disney World guests, you’re trying to decide if you want to brave the crowds in order to graze the grub. We get it: Food and Wine isn’t for everyone. 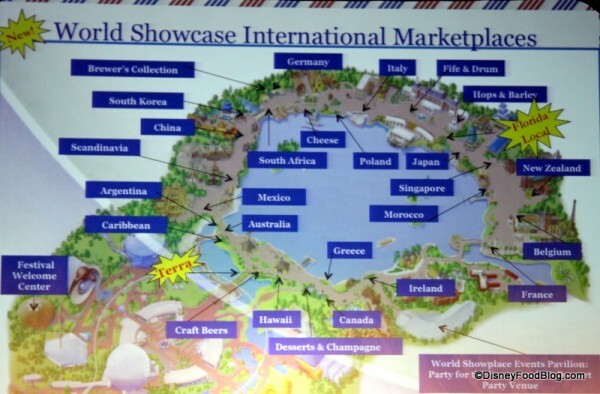 Here is some food for thought about Epcot’s International Food and Wine Festival to help you decide if it’s right for you! 1. 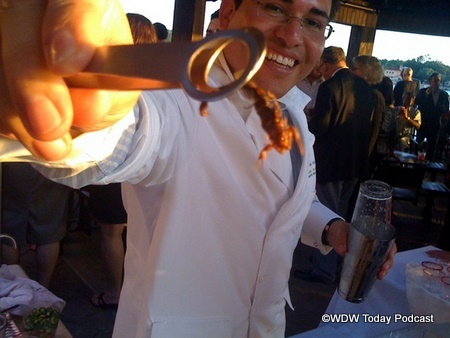 Epcot’s International Food and Wine Festival draws big crowds. If you love swimming upstream (both ways) in a sea of human beings, we have good news! Food and Wine draws huge crowds to Epcot’s World Showcase (in particular) and the rest of the park. This can create an energetic and festive atmosphere that’s tailor made for those who thrive on being around other like-minded foodies and celebrants. Whew! After a week of celebrating the WDW Foodie Fest‘s great memories, we’re back with the Round-Up and going strong! Review the dozens of food pictures from International Marketplace booths. Just click on each country name to see photos of the menu items from each booth! 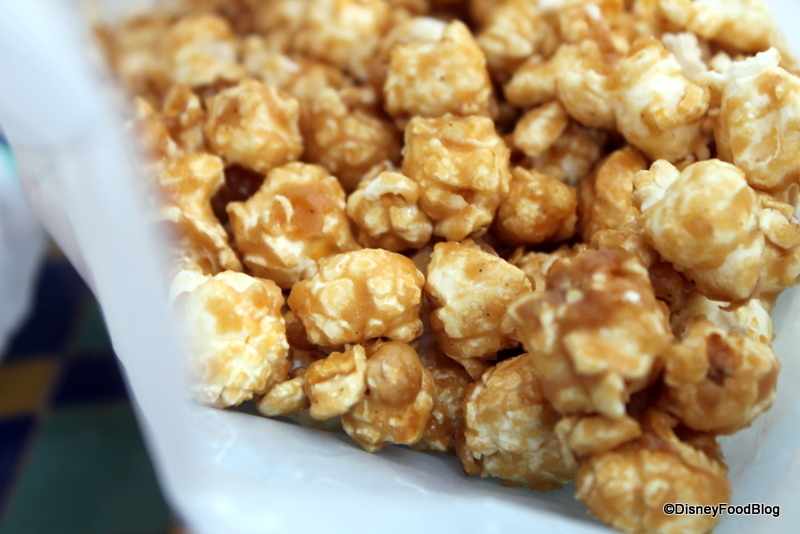 I can’t stop exploring Epcot’s newest sweet spot — Germany’s Karamell Kuche (caramel kitchen)! Here are some new Halloween treats in Disney Parks: Cool and spooky Disney halloween cupcakes, and a bunch of Disney Halloween-themed snacks! Babes in Disneyland‘s Lisa brings us a great video interview with a look at Disneyland Halloween Treats! Check out the blog for a recipe for those gingerbread Mickey Beignets! 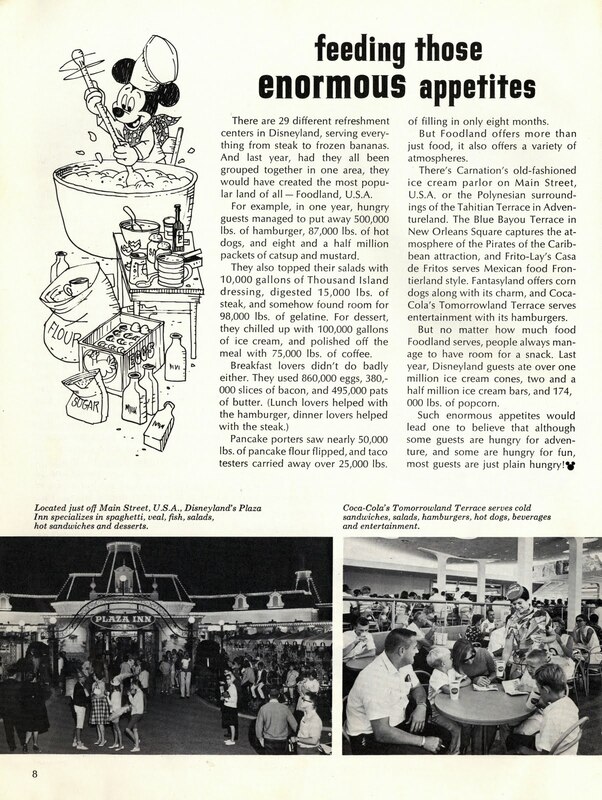 Passport To Dreams Old and New has an incredible overview of how the “Phantom Food Scare of 1971,” and other concerns regarding feeding the masses, has affected changes in Disney Park design. Eating (and Drinking) Around WDW heads over to Epcot’s newest counter-service spot, Cantina de San Angel. Studios Central lists and discusses his top 5 favorite entrees in Disney’s Hollywood Studios. 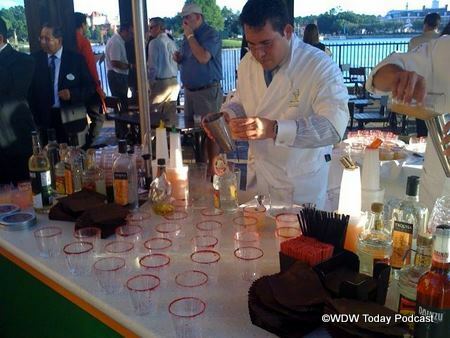 Frugal Dinks share their review of the Saki Seminar at the Swan and Dolphin Food and Wine Classic. Touring Plans heads to Whispering Canyon Cafe. 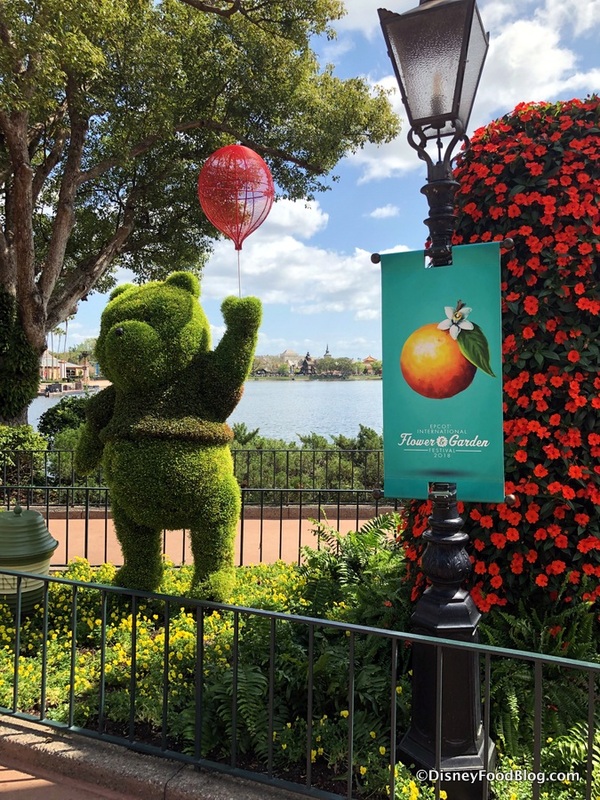 AllEars reviews the Grand Marnier “Taste, Shake, and Indulge Like the French” deminar at the Food and Wine Festival in Epcot. The Givens Chronicles is giving away a 2010 Epcot Food and Wine Festival Cookbook! Be sure to enter to win — it’s a great compilation of old and new recipes this year. Cooking With Mickey reviews Akershus in Epcot’s Norway! Disney Dispatch reviews the menu at the United States Booth at the Epcot Food and Wine Festival. Living in Texas, I don’t have the opportunity to attend the openings of Disney’s restaurants; but boy did I get lucky on this one! Thank you to the WDW Today Podcast for allowing me to publish pics from their coverage. 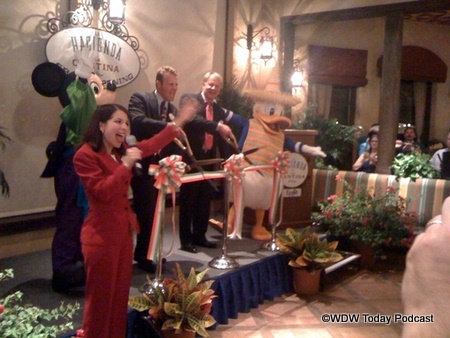 Check out their twitter stream to see more great pics from the Grand Opening at Epcot’s La Hacienda de San Angel! The backstory behind La Hacienda de San Angel is that a Mexican family restored an old hacienda and wanted to open it to guests and serve food. The beautiful artwork and pottery throughout the hacienda are meant to be created by the house’s artistic owner. La Cantina de San Angel, the counter-service restaurant outside of the Hacienda, is part of the story as well — it was supposedly created to serve the overflow from the hacienda! La Hacienda will be serving dinner from 4pm each night and will offer an incredible view of the Illuminations fireworks. 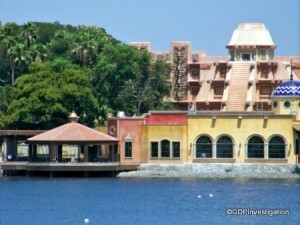 During the day, it will serve as indoor seating for La Cantina de San Angel, which will serve lunch and dinner daily. 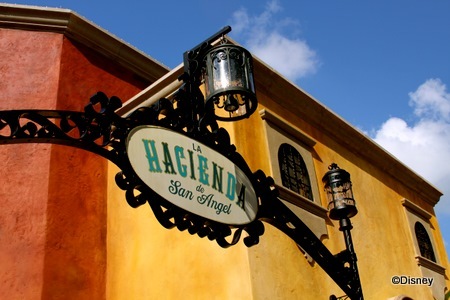 Just a reminder, La Hacienda de San Angel is now open for business for walk-in guests. You can also make reservations for dates after October 15th via Disney’s reservations system! You can see the the La Hacienda de San Angel Menu here. 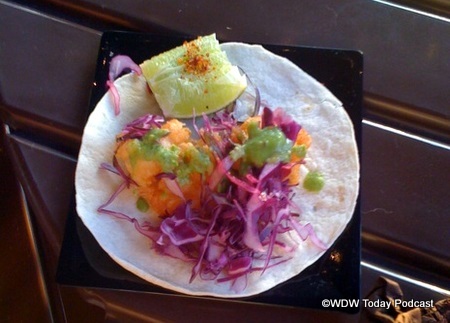 You can see La Cantina de San Angel’s menu here! 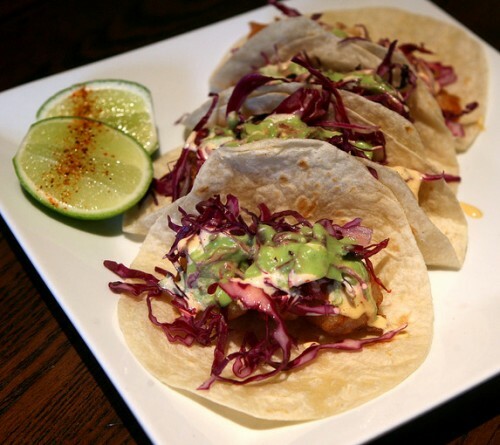 The Orlando Sentinel has an incredible group of food and decor photos from Epcot’s new La Hacienda de San Angel, a casual dining Mexican restaurant that will be opening for walk-ins on Thursday of this week! 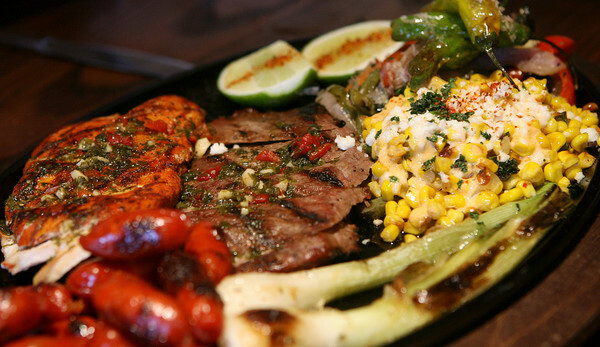 Here’s the Parillada La Hacienda, a sampler dish featuring chicken, flank steak and other appetizers; and the shrimp tacos. 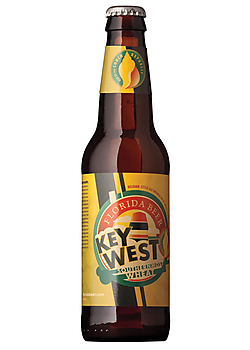 But this is just a “taste” of the 21-photo slide show over on the Orlando Sentinel’s website! As guests enter they may notice that the small room to the right is the former pantry and the first room the former dining room of the home. Next they enter the grand salon. And it soon it becomes clear that the woman of the house was an artist. A kiln is obvious to one side and the handcrafted decor showcases the “owners” personal tastes and talent. Photographer: Joe Burbank for the Orlando Sentinel. Photos Copyright Orlando Sentinel. 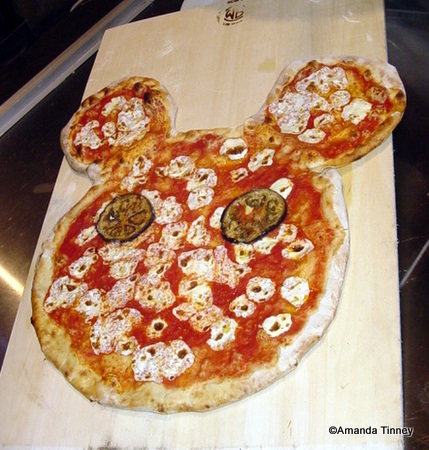 Thanks to Amanda Tinney of Disney Every Day for sending over her report of the Via Napoli media preview! 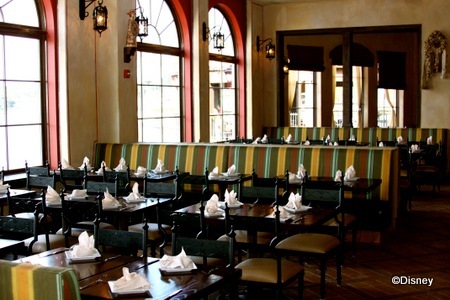 For pics of the restaurant’s decor and atmosphere, check out our First Look! photos! Take it away, Amanda! I don’t know about you, but for me and my family pizza is something that we order when there are no groceries in the house or we are crunched for time and don’t feel like cooking. It’s not something that we actively seek out, which is strange considering the fact that my hubby is Italian with a grandmother that came to the US from Sicily. I recently had the pleasure of attending the Grand Opening for Epcot’s newest dining experience, Via Napoli in World Showcase’s Italy Pavilion. Being the huge Disney fan that I am, I’m ashamed to admit that I may have never tried the new pizzeria if not invited to the event, but after sampling some of the cuisine, I will be back for sure. 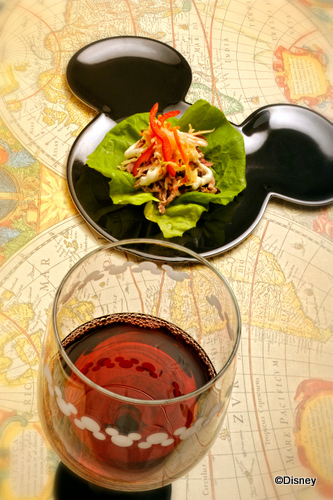 Disney just released this cool Gene Duncan photo of the Lettuce Wraps with Roast Pork and Kimchee Slaw, which you can find at this year’s brand new South Korea booth during the 2010 Epcot Food and Wine Festival! For more photos of the food available at this year’s festival, check out our individual pages dedicated to the International Marketplace booths around the World Showcase! 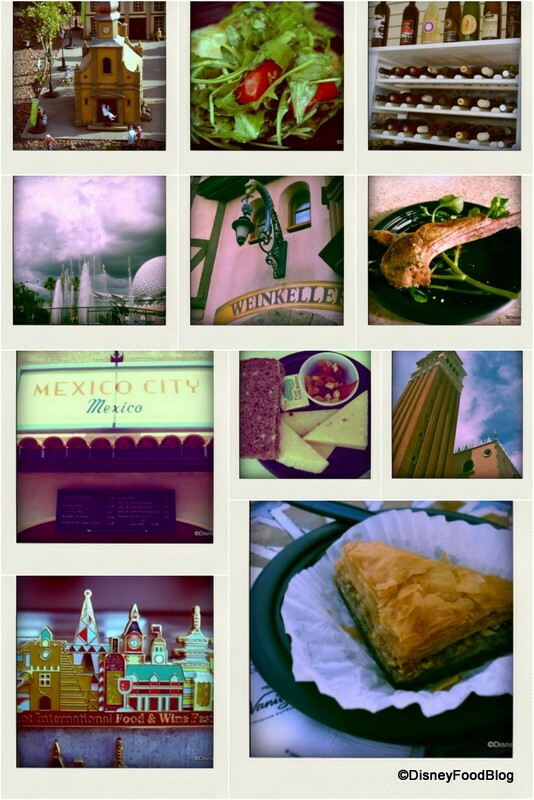 You can see photos of this year’s menu items from Australia, Brazil, Ireland, Germany, and more! 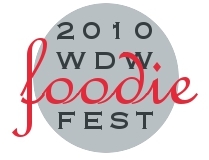 So, as many of you know, the WDW Foodie Fest official website is up and running! I was playing around with a polaroid-maker to create pics for the site and wound up creating this “Food and Wine Festival” collage. I think it’s pretty awesome (I’m always amazed that a computer and photography neophyte like me can figure out how to do neat-o stuff like this) and wanted to share with you! All of the pics were taken at last year’s Festival, and all of the food featured is returning for the 2010 Epcot Food and Wine Festival! By the way, WDW Foodie Fest is the Disney Food Blog meet-up happening October 3rd, 2010. It’s completely free and you’re all welcome to join us! Find out more at www.WDWFoodieFest.com.